Are you having problems loading the extension? 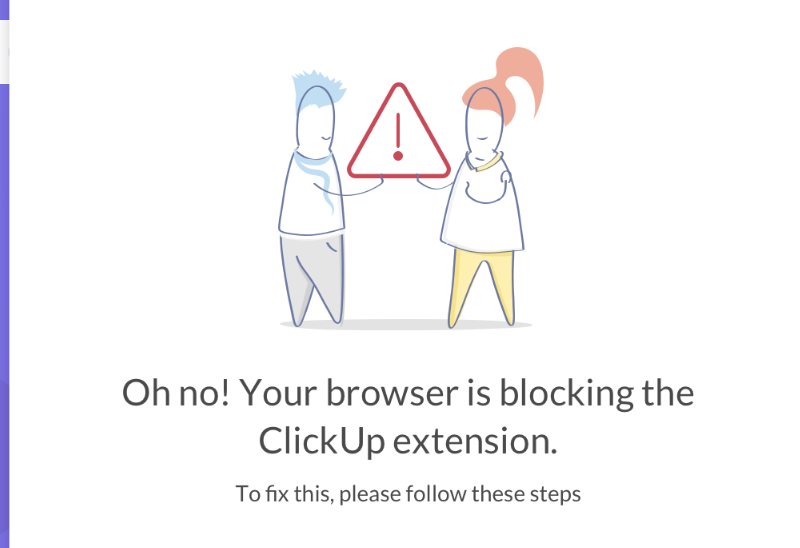 If you see this error, please follow the steps below to fix the Chrome Extension. If you cannot open the Chrome Extension after following these steps, please contact us on our live chat or email help@clickup.com !